Many people are looking to get more out of their savings, but with interest rates still low across much of the market, how can you make your cash work harder? Here are five options to help you get the most from your money. This may seem like an obvious suggestion, but you could boost your returns by simply switching your savings pot to a new provider. At present, many people open savings accounts with their current account provider and don’t shop around. By having a look at rival providers you could move your money and earn a higher interest rate. Many providers offer generous introductory offers, sometimes even cash incentives if you’re willing to switch your current account. Always do your research before signing on the dotted line, to make sure you’re getting the right account for your financial needs. With low interest rates across the savings market, many people are turning to investment as they seek a higher return. Some people can be put off stocks and shares because they believe it’s a risky venture, but there are many options available depending on what level of risk you’re comfortable with. While the value of your investment could go down as well as up, stocks and shares tend to outperform cash savings over a longer period. This means investment in stocks and shares could be worth considering if you’re looking towards the long term. You can speak to a financial adviser to get more information about investing. If you’re saving for a house, then some government schemes could offer you free cash to help you achieve your home ownership dream. Both the Help to Buy ISA and the Lifetime ISA offer free government bonuses for those saving towards a deposit, and are well worth considering if you’re a would-be first-time buyer. The Help to Buy ISA is closing its doors to new business in 2019. But the Lifetime ISA should remain open for much longer. It’s available to 18 – 39 year olds and is geared towards time buyers and those looking to build an additional savings pot for retirement, on top of the government pension. If your cash is in a low-paying easy access savings account, consider locking your cash away for a longer period. Longer fixes tend to offer higher rates, so if you don’t need access to your cash for a number of years you can lock it away and achieve a higher rate. However, be aware that if interest rates across the market rise, your fixed rate will not. So think carefully before tying your money up and only base your decision on your individual financial situation. It’s also a good idea to keep a small pot in an easy access account for emergencies. Whether you are saving or investing, by doing so in a tax-efficient ISA wrapper you won’t be liable to pay tax on savings interest earned or investment growth generated. 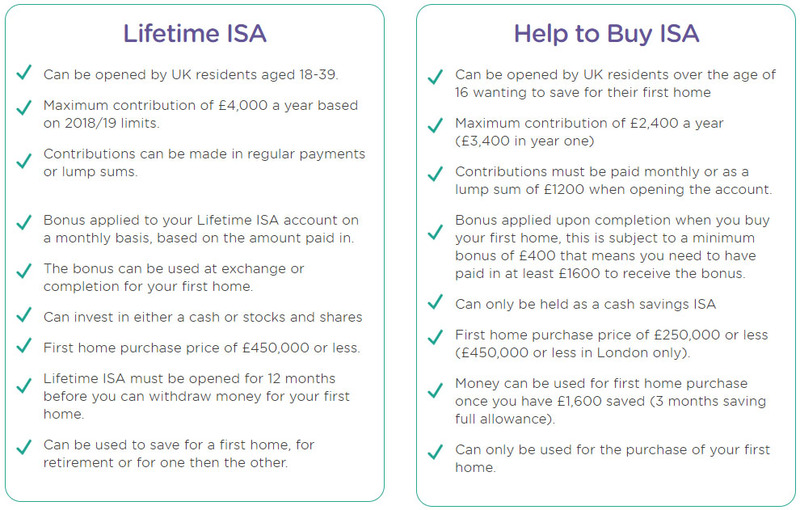 Opening an ISA is quick and easy, and you can spread your cash across several types of accounts. For instance, you can split your £20,000 annual allowance between cash and stocks and shares. You can also open up a Junior ISA for your children.